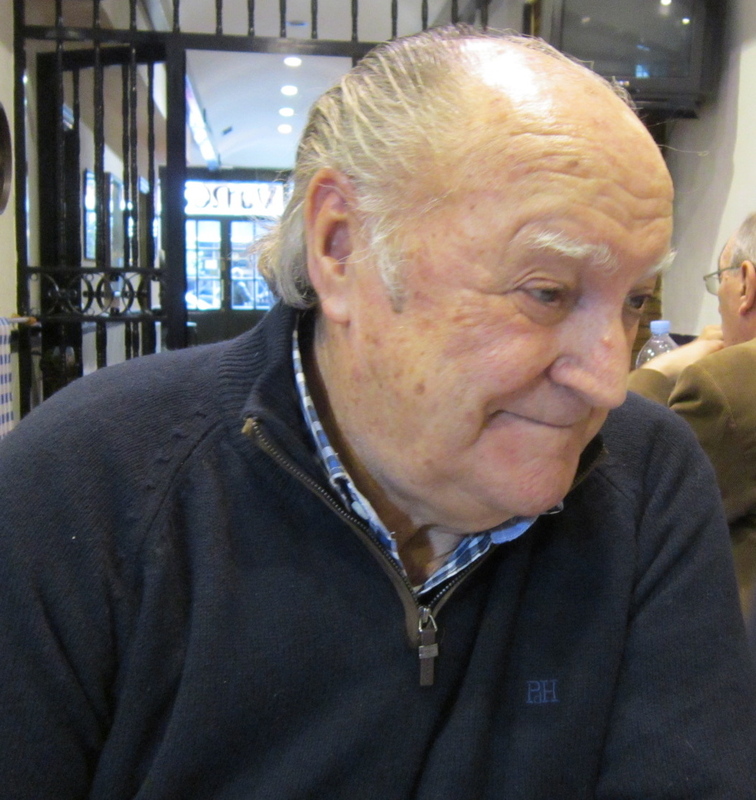 “¡Hola, cabronazo!” The raspy voice on the phone was my old buddy Gerry Dawes, the American food and wine writer, to announce that our lunch wouldn’t be in Haro as originally planned, but at the winery of Luis Alberto Lecea in San Asensio. That was good news, because I had wanted to visit Luis for a long time, so I grabbed my camera and notebook and headed out the door. Luis Lecea is not only the owner of a small family winery located in one of Rioja’s most emblematic wine villages but is also a member of ASAJA, the powerful Young Farmers’ Association who sits on the board of directors of the Rioja Regulatory Council. My interest in seeing Luis was not to talk about wine politics, but rather learn more about the hundreds of underground wine cellars in his village. 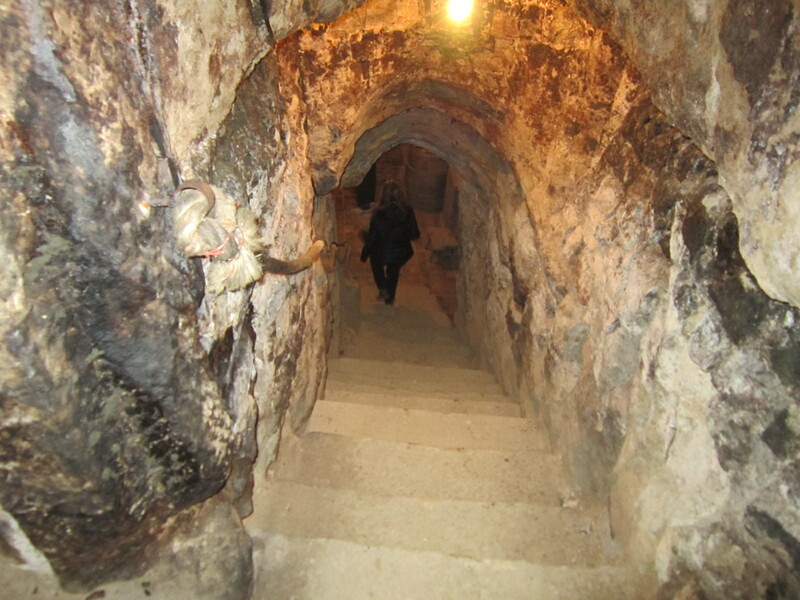 Into the depths of the Lecea cellars. We were told that there were more than 350 cellars in San Asensio, almost all of them in a state of utter disrepair if not totally destroyed by the ravages of decades of rain and neglect. 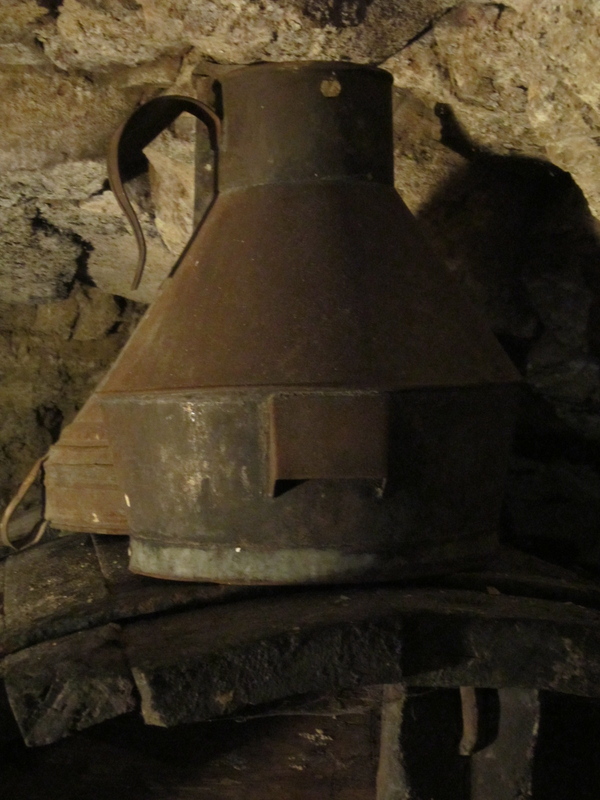 “It’s a shame” Luis said because until the 1950s when the Spanish Agriculture Ministry created coops to give individual growers a profitable means of selling their grapes and wines to big commercial wineries, these small family cellars were the backbone of the Rioja wine business. Some of them had been built in the 17th century. Luis showed us his family cellar, dug by hand out of the hard earth with picks, adzes and shovels to a depth of ten meters and once underground, opened into a warren of caves where tanks and barrels held his wines. Today, the wine is taken up to ground level with pumps, but in the old days, the juice flowed into the cellar by gravity and once the wine was made, it was emptied into pigskins and carried up the stairs, loaded into big wooden vats and rolled onto to trucks where it was taken to the big commercial wineries. 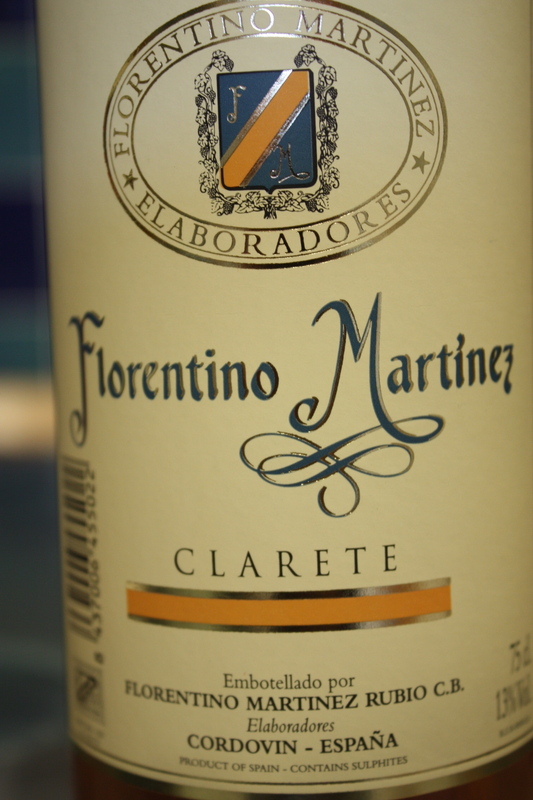 Generally speaking, in the old days the wines were vinified by means of whole berry fermentation. The grapes would be dumped into a large open cement tank called a lago, where the grapes began intracellular fermentation without mechanical pressure. The free-run juice flowed through a hole in the floor to a tank below where fermentation took continued. The remaining grapes, stems and pips were trodden by foot to release the rest of the juice. Ever the guardian of tradition, Luis organizes a party every October where he invites guests to watch and even participate in this process. Second from left, Pedro Ortega. Right, Luis Lecea. We kept hearing that it was a shame these cellars had fallen into disrepair, hoping that they would be bought and restored, if only to be used as a place for families to cook and eat on weekends and on vacation. I mentioned to him that there was a company whose business was to fix these places up. We rounded a corner, and as fate would have it, we ran into the owner of this winery restoration company. He was visiting the village to help a couple solve the problem of water leaking into the cellar they had bought recently. 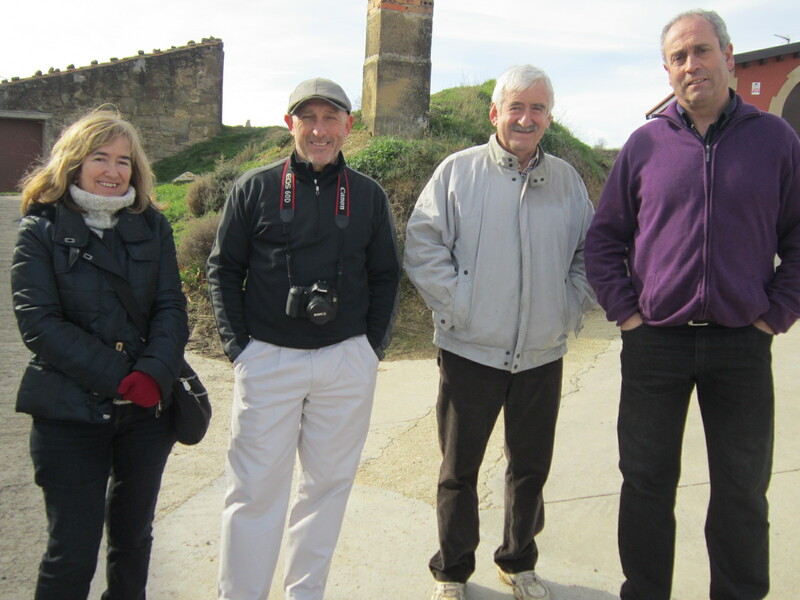 I was happy to introduce Luis to Pedro Ortega and hope they can work together to restore San Asensio’s underground winery district. There are cellars like this not only in San Asensio but also in practically every other village in Rioja. With the history at your feet, it’s hard to believe that these places are on the verge of disappearing. Let’s hope Luis and Pedro succeed. Today you can only visit a few of these old caves, among which are the Paternina cellars in Ollauri and Bodegas El Fabulista in Laguardia. Baby lamb chops and sausage grilled over vine cuttings. 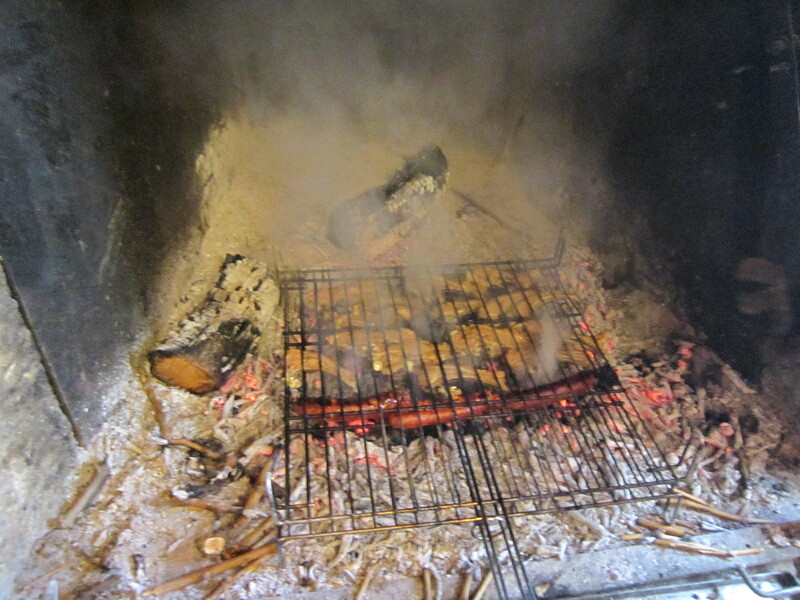 We were treated to a tasting of Luis’s wines and a lunch of potatoes with spicy sausage, pig jowls, baby lamb chops and sausage grilled over vine cuttings. 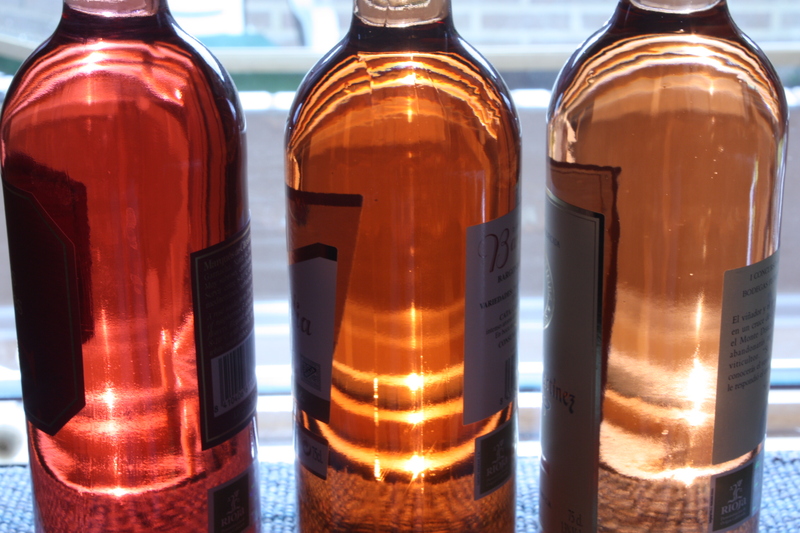 I’ll tell you about the tasting, especially of Luis’s amazing claretes, or local rosés, in my next post.